The Quik Review Program is a part of FDA’s ever-evolving continuous improvement activities aimed at consistency and efficiency. The program is intended to be interactive, and hopes to reduce time and effort for all stakeholders involved in the review process. Through Quik, organizations utilize FDA’s eSubmitter software to format their eligible device’s 510(k) submission. FDA hopes this process can enable it to make final decisions for Quik 510(k) submissions sooner than would be possible through conventional pathways. Medical device manufacturers are required to use a particular template within the eSubmitter software as part of the Quik program. The eSubmitter requests the same information as a traditional 510(k) and has tools for guiding organizations through the process of building the submission. In a recent webinar, FDA explained more in-depth how using the eSubmitter works, as well as the eligibility criteria for medical device submissions through the program. Submissions are expected to meet four main eligibility criteria to prompt official review through Quik. If even one criterion is not met, the submission is deemed ineligible and needs to be submitted via the Traditional 510(k) pathway. FDA compiled a list of device types eligible for the Quik Review Program based on the input from its review panels. The panels recommended devices based on how well they are understood by the agency and the low-to-moderate risk they present. These devices’ product codes are available through the program’s webpage, and should be checked before uploading any data into the eSubmitter. Secondary product codes can be used, but the device’s primary code must be on the approved list. Failure to correctly identify the primary code of your device as one on the eligible list results in rejection of your submission for the Quik pilot program. This list has the potential to grow as the Quik program matures, so keep an eye out. FDA is not considering combination products — device-drug or device-biologic combos — for the Quik program pilot yet. FDA believes the complexity of combination product reviews would complicate the Quik program’s effectiveness and timeliness. With more clinical data necessary for combination product reviews, combined with the shortened time-to-decision benchmark FDA has set for Quik, reviewers’ abilities to complete efficient, thorough reviews are restricted. Currently, there’s no public discussion by the agency about opening up Quik to combination products. However, it could be a possibility if the pilot proves successful. Included in the eSubmitter software are a number of submission templates, including one for Non-In Vitro Diagnostic Device 510(k)s. This template is critical to the whole Quik program. Reviewers currently leverage their own smart templates when evaluating 510(k)s. The Non-In Vitro Diagnostic Device 510(k) is designed to complement FDA’s existing capabilities and smart template tools to improve review efficiency and turnaround. Therefore, it must be used when building a Quik 510(k) submission; failure to meet this criterion results in ineligibility and possible holds placed on the filing. While this template organizes and formats product data for reviewers, it does not ask for less (or different) content than normal. Medical device organizations are still expected to provide the same data for a Quik submission as they would a Traditional or Abbreviated 510(k). The only difference between these 510(k) pathways is that Quik submission data is placed into the eSubmitter template and automatically formatted. Without this language, the submission may not be accepted into the Quik pilot program. Submitting to CDRH as the lead center is critical. Its DCC is set up to process Quik submissions and perform the initial eligibility criteria check. Any eligibility/ineligibility communication is handled through the Center, and it coordinates with contacts on submissions about that information as necessary. While the content of Quik program submissions doesn’t differ from Traditional or Abbreviated 510(k)s, the review process does. “Refusal to accept” (RTA) reviews are not conducted on Quik program submissions. The eSubmitter cannot construct a submission without all the necessary sections filled out, which eliminates the need for RTA reviews. The structure of FDA’s system forces an automatic RTA waiver decision, provided the submission meets the Quik program’s eligibility criteria. This information is sent to submitters through email. However, a filing can still be delayed. If sections of the 510(k) lack enough information for further review and/or result in review staff asking for substantial information, the file may be placed on hold. It’s important, therefore, for medical device organizations to ensure as much relevant data as possible is included in the Quik 510(k) submission. Because the device types eligible for Quik are well understood, and the eSubmitter templates are aligned to reviewers’ needs, reviews can be conducted interactively with submitters and other industry stakeholders as appropriate. If additional information is necessary, requests are conducted via email and then by phone. Unfortunately, submitting additional information via amendments or supplements cannot be done using the eSubmitter. In the event there are issues with this process, FDA reviewers still reserve the option to place a file on hold to request additional information. If this occurs, the submission is converted to the traditional 90-day 510(k) review timeline and submitters are notified via email. This conversion process is the same as converting a Special 510(k). In general, 510(k) reviews are 90 days to a decision, but the agency has set a benchmark of 60 days for review through the Quik program. FDA anticipates this time savings will be generated through standardization of 510(k)s enabled by the eSubmitter templates, as well as the well-understood nature of the eligible device types. What Does FDA Hope To Achieve With Quik? FDA has set up the Quik Review pilot for two primary purposes. First, the program is part of the agency’s continuing efforts to reduce burden on all stakeholders involved in regulatory submission without compromising safety and effectiveness. Second, FDA is looking to evaluate its eSubmitter software. In particular, the agency is hoping to see whether using the software leads to well-organized submissions that can be reviewed more efficiently. The Quik Review Program offers an expedited pathway toward regulatory decisions on eligible device types. It can also reduce the burden of preparing a 510(k), a critical advantage in a competitive and ever-shifting market. A simpler way to submit a premarket notification that automatically aligns to regulatory requirements for the submission, ideally, leads to less time and effort invested getting submissions into the hands of reviewers for evaluation and approval. There also exists great opportunity for innovation within the product types already deemed eligible. The quicker turnaround and reduced burden afforded by the program and the eSubmitter templates allow for more rapid development and product improvement to occur. Updates and advancements for many of these device types (when thoroughly managed for risk) can improve patient care and outcomes at a much faster rate, especially when leveraging new technologies. There are some concerns around Quik to keep in mind, though. For one thing, even though the eSubmitter is FDA software, it still must enter your overall quality management system. As a result, it needs to be managed for risk. Time and effort spent on software validation also needs to be considered. Depending on the constraints and abilities of your organization, Quik might not be a feasible route in the short term. Also, approach program expansion and limitations with caution. FDA is committed to the 60-day review time for Quik, but the program has a potential to overfill. If more submissions inundate the FDA’s system than anticipated, everyone’s review times could slow down. Because Quik is such a new program, inefficiencies still need to be worked out on both the submitter’s end and FDA’s. Overall, though, this pilot program from FDA has the potential to bring real, tangible benefits to medical device organizations large and small. As part of a collaborative approach to regulatory submission and review, Quik could be a great pathway for your device’s premarket notification. Nick Schofield is an experienced writer and marketing professional. 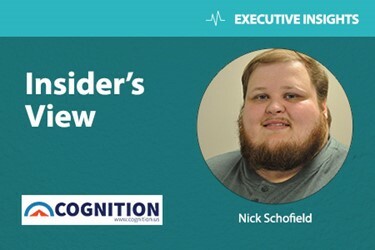 With Cognition Corporation, he authors in-depth guides that support life science professionals in managing design controls and risk management activities from regulatory, quality, and engineering perspectives. Nick has also written for IT, cybersecurity, and news media organizations.